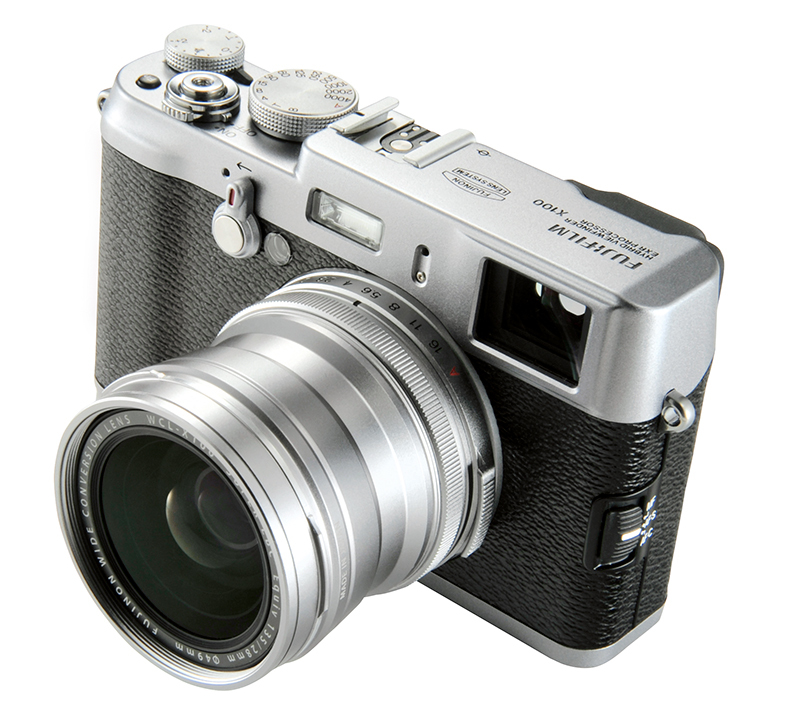 For me, the Fujifilm X100S is one of the standout cameras of the past few years. I love the relatively compact size, classic styling, handling and the results it produces thanks to the excellent sensor and 35mm equivalent lens. 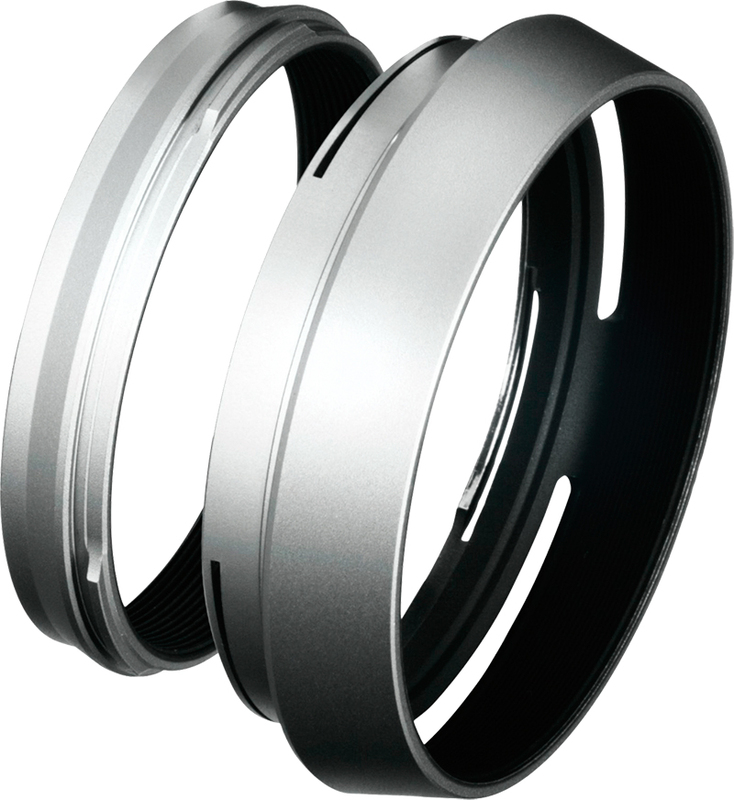 With the TCL-X100 teleconverter, the focal length is increased to 50mm for times when the lens is a bit too wide. As the TCL-X100 screws directly onto the front of the X100S, there are no electronic connections, while the large front element means the combination is a more bulky affair. However, it still balances nicely in the hand, and while focusing behaves in a similar way when shooting normally, in macro mode it struggled to acquire focus at times. Images look very good, with the X100S applying in-camera corrections to control distortion very well. The good news is that if you’re shooting raw, Adobe Camera Raw 8.4 applies these same corrections, so you’re not restricted to JPEG-only corrected files. To shoot with the TCL-X100, you’ll need the latest firmware (X100: 2.10 or later, X100SL: 1.20 or later). 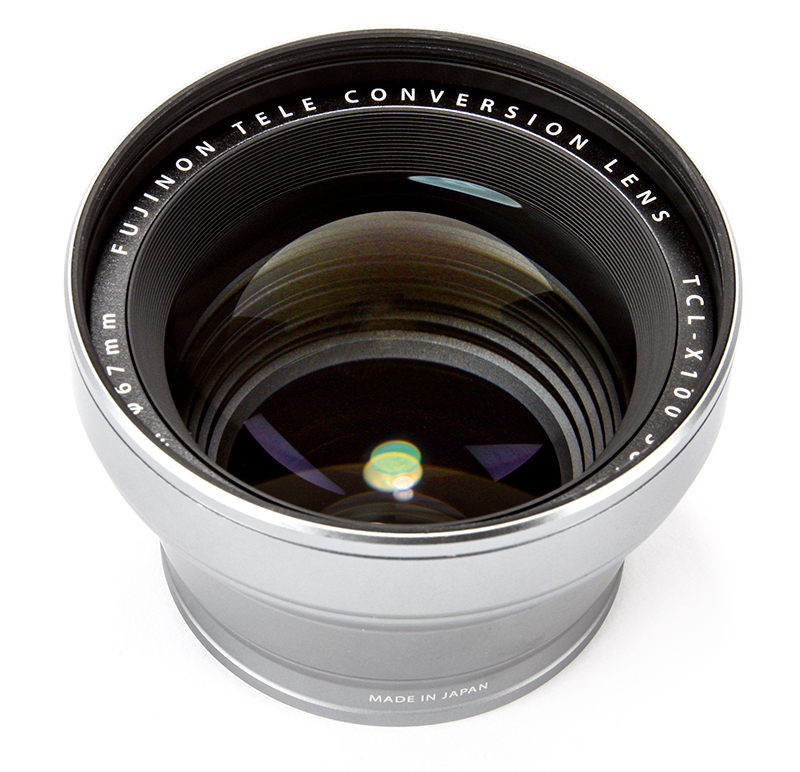 Then from ‘Conversion Lens’ in the shooting menu, select ‘Tele’. Both the X100 and X100S will automatically apply image processing to shots taken using the TCL-X100, reducing image distortion and chromatic aberration. When using the optical viewfinder, icons show the edge of the frame while the EVF delivers a 100% field of view. The TCL-X100 is manufactured using the same materials, textures, colours and finishes as the X100S, so it blends extremely well when paired with the camera body. If you’re put off by the thought of poor image quality from a converter lens, don’t be with the TCL-X100 as the combination of very sound optics and processing give excellent results. If you have an X100 or X100S, this teleconverter extends the versatility of these cameras and is worth investing in. With a 0.8x magnification, the WCL-X100 turns the X100S’s lens into a 28mm. Like the TCL-X100, it has a maximum aperture of f/2 and the same 10cm macro working distance as the native lens. The X100S doesn’t feature a filter thread, so you’ll need this little combo – an adapter ring (bought separately) that has a 49mm filter thread and a removable lens hood. It’s a bit pricey, though, and the JJC copy at £15 is almost identical. 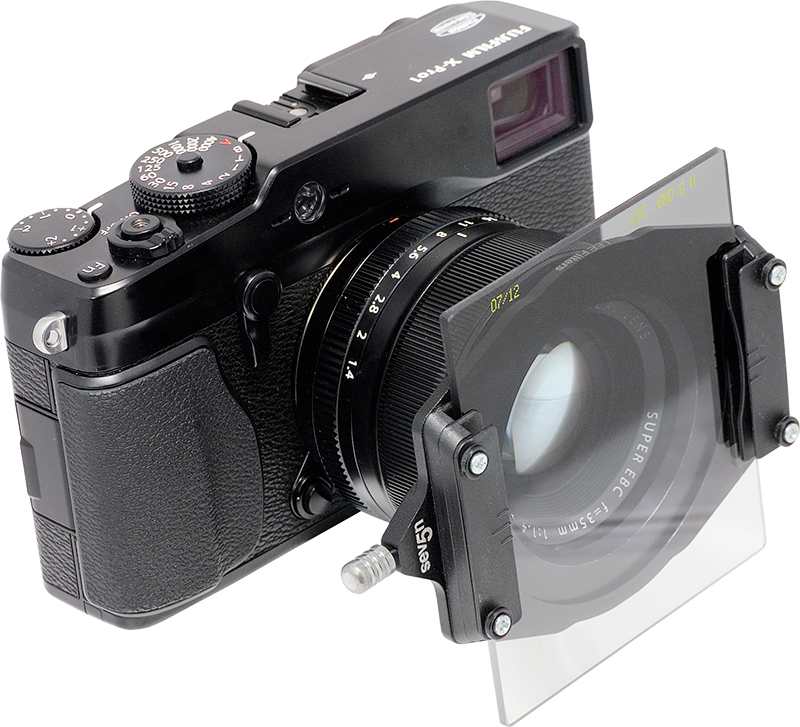 The perfect partner for your X100S (or pretty much every system camera as well), the Lee Seven5 starter kit contains a 0.6 neutral density hard grad filter and a Seven5 filter holder. You’ll need an adapter ring (around £19), but it’s well worth the investment.